So, these are perfect to make ahead of time and reheat for a fast breakfast to ease your crazy mornings! They are versatile, you can use any vegetables you like. Have extra vegetables you don’t have planned to use the rest of the week, throw them in! Dice/chop your choice of vegetables. If you’re using frozen cook quickly so you can remove the excess moisture. I didn’t cook the spinach before hand and it was perfect! Beat the eggs and add the vegetables to them, add spices if you’d like (southwest seasoning from the 21 day fix recipe book or just a little salt and pepper). Pour the egg/veggie mix into the prepared muffin tin pan. This can be tricky, I found it a little easier to spoon the veggies in first and then pour the eggs in. Notes: Cool completely before storing. I divided them into their serving container and stored in the fridge. Re-heat in the microwave for 45 seconds (give or take depending on your microwave). 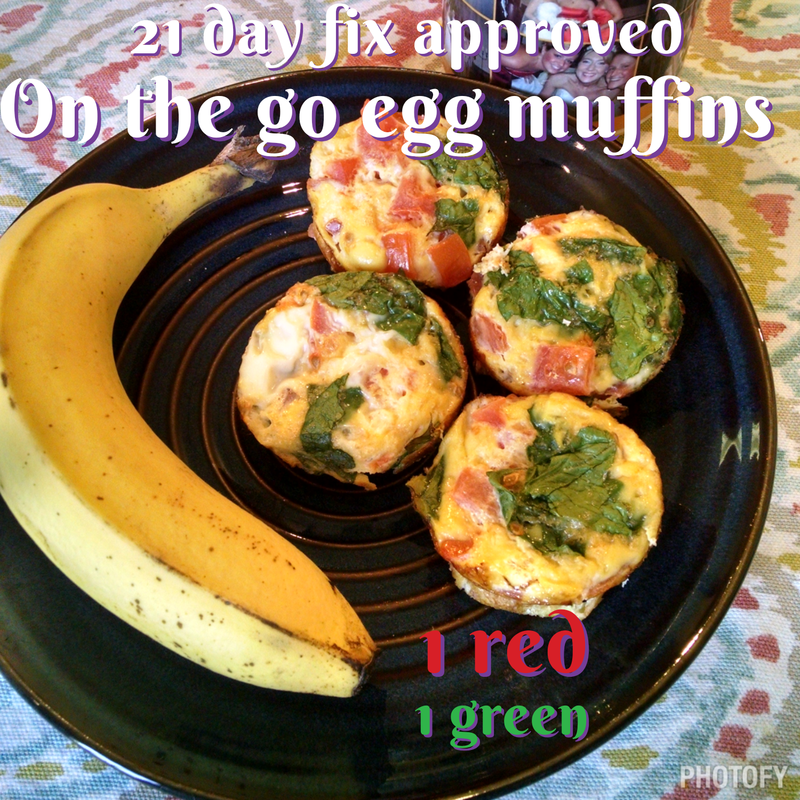 21 day fix: 1 red, 1 green for 4 muffins.